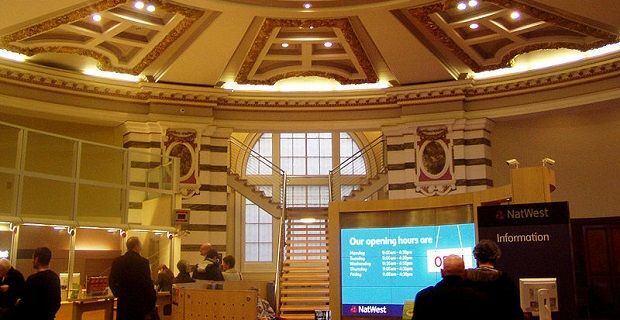 If you're looking at which bank to join and you're considering Natwest, you will probably want yo know what Natwest account benefits are in offer. As with other rival banks like HSBC and Lloyds, there are several types of current account all of which find with different benefits. Natwest offer everything from a Basic Account that doesn't even offer an overdraft or interest on your money to the Black Account. The Select Account is currently the most popular Natwest current account available. There's no fee with this account but you get benefits like mobile banking through the downloadable app and cash back which gives you 1 percent back when you use your NatWest Visa Debit card at participating retailers. Emergency cash, the service which gives you access to your money when your debit card is lost or stolen is also included with this account. Silver account holders get everything those with Select get but with the added benefits of mobile phone insurance. You also get access to LOVEFiLM and some free music downloads from hmvdigital. If you’re heading abroad, you’ll get preferential rates on foreign currency from Natwest’s Travel Money service and European travel insurance is free. This account currently cost £16 a month but it comes with a host of benefits that more than make that minor investment worthwhile. You’ll get worldwide travel insurance and mobile phone cover. You get breakdown cover for your car from Green Flag and National Trust family day passes are also offered. As you’d imagine, there are restrictions with these benefits, so the small print should be fully read before you take the leap and agree to paying £16 a month. This is the top account you can take out as an individual. As you'd imagine, Natwest don't just hand out Black Account membership to anyone. As with the other types of account, the Natwest Black Account has insurance benefits and travel benefits. This is an account that comes with a 24/7 Concierge Service so if that's not something you'd have need for, you may be better with another of the accounts.